Take a sneak peek inside one of the swankiest family homes on the market today in the exclusive area of Hadley Wood. 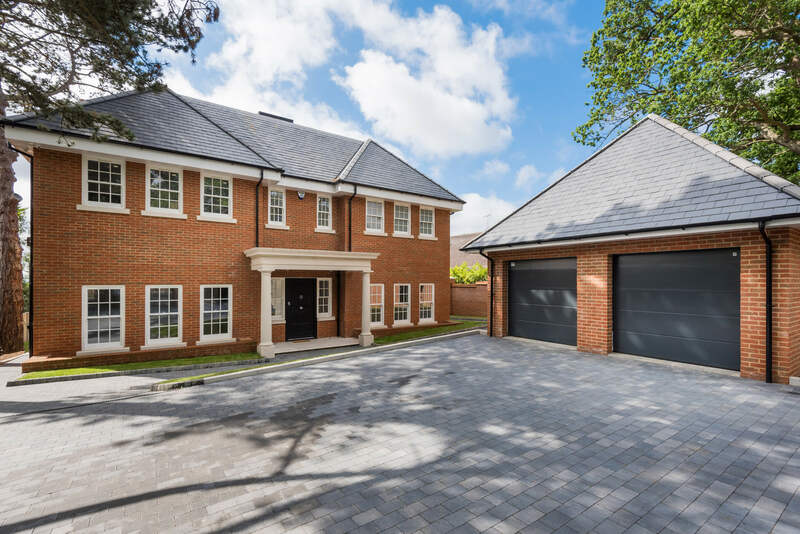 During an Open House event over the weekend, leading luxury housebuilder Bellis Homes flung open the doors to this stunning 6-bedroom home in the coveted Hadley Wood neighbourhood in North London, popular with a whole host of celebrities, successful businesspeople and sport stars. Calleva House, a brand new, detached four-storey mansion, comes complete with generous six bedrooms, dressing room, seven bathrooms, an enormous lounge, modern kitchen-diner plus separate dining room. 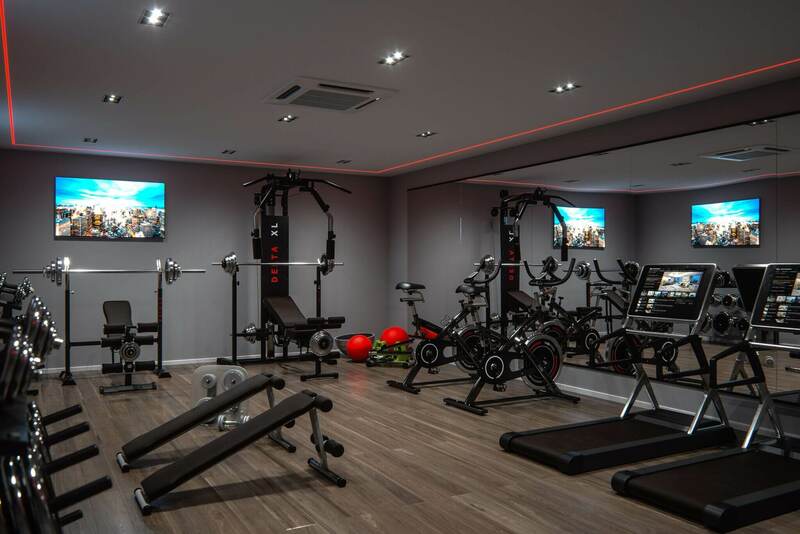 Leisure facilities include a games room, gymnasium and private home cinema. “We really wanted to ensure that Calleva House stands out as an exceptional property in many ways, whilst at the same time creating the perfect environment for modern family life. In keeping with its external beauty, Calleva House has been furnished throughout with bespoke fittings and considered styling by Alexander James Interior Design, one of the World’s Top 100 Interior Designers. “The impressive stature of Calleva House rightly demands an air of elegance, but to be equally matched with bold statements of colour upon a neutral yet inviting tactile base. “The entertaining touches of pesto, navy and burnt orange hold their position well on the ground floor alongside the calmer more serene tones of the Master and Second Bedrooms. Bedroom Three reminds us of the somewhat defiant and playful schemes on the lower level. Calleva House is on the market for £3.5 million and viewings can be arranged by appointment. It’s a dream for many of us: moving out to the country and enjoying a more wholesome lifestyle outside of our careers. We want to go for country walks, have cosy pub lunches with good friends, surrounded by happy, rosy-cheeked children, bouncy gun dogs and muddy wellies. At the same time however, we’d like to be able to easily reach the capital, have access to quality education for our kids and not feel as though we are ‘out in the sticks’. In other words, we want the best from a life in picture-postcard rural England without sacrificing our cultural and social needs. One such rare place and an absolute jewel of the countryside is the village of Much Hadham in Hertfordshire. This ancient and quaint village is situated between Ware and the market town of Bishop’s Stortford and is surrounded by glorious rural views. A truly quintessentially British village, it has artisan shops, gastro pubs and several excellent schools nearby. A few miles down the road is Perry Green where internationally distinguished sculptor Henry Moore lived and worked. Today its home to the Henry Moore Foundation, a registered charity, which was established for education and promotion of the fine arts. Its Institute in Leeds specialises in the study of sculpture while the Foundation supports a range of different artistic movement’s as well as preserving the Moore legacy. There is an art gallery and gardens, a shop, library and café. Much Hadham is well connected. London’s Liverpool Street station can be reached directly by train in just over an hour from Bishops Stortford station. Both the M11 and M25 are under 30 mins drive away. Just as it is not possible to make old friends, the trouble with entering a heritage area is the lack of new property. Anyone who has ever attempted to make the dream a reality will know, that should they even be lucky enough to find a suitable area, there may not be suitable homes available to buy. It is therefore nothing short of a miracle that there are not one, but two brand new family homes on the market in Much Hadham from local family-run housebuilder Bellis Homes – a rare opportunity to acquire the dream lifestyle. This detached six-bedroom house has contemporary and modern touches throughout, but its external design remains in keeping with the historic nature of the area. It has a pitched roof, dormer windows, bay windows and traditional timber and brick elements. There is excellent living and entertaining space including a large basement featuring a leisure area with a gym, wine store and cinema room. The ground floor of Magna House boasts a large living room featuring a contemporary fireplace and open plan kitchen area, with comfortable family living space with bi-fold doors opening out to the garden. The property’s generous accommodation includes three large reception rooms situated off the impressive entrance hall including a formal dining space. The six bedrooms are set over two floors, four have their own en-suites whilst the second-floor rooms utilise one expansive shared bathroom. An exceptionally well designed six bedroom detached family home positioned perfectly within this exclusive development in the award-winning village of Much Hadham. The spacious and contemporary rooms are well proportioned, providing excellent living and entertaining space. This beautifully built home excels the modern day new build with innovative design and high specification, whilst blending into the surroundings with its traditional presence. The ground floor boasts a large living room featuring a contemporary fireplace and open plan kitchen area, with comfortable family living space with bi-fold doors opening out to the garden. Bellis Homes have been building houses and welcoming families into new areas for over 20 years and are aware that sometimes a small additional gesture can really make a big difference to peoples’ lives and how they settle in. Therefore, they have decided to give buyers of Magna House and Millers View free membership to one of the cultural hubs of Much Hadham and Perry Green – the Henry Moore Foundation. Developing a Grade II Listed building comes with its own unique challenges and rewards, as family-run housebuilder Bellis Homes knows well. The Bellis Homes team is delighted to have obtained the opportunity to turn the former Sisters of Charity St Vincent convent, nestled in the Mill Hill Conservation Area and the North Barnet Area of Special Character, into unique residential accommodation. The company is nurturing the derelict buildings into 11 luxury apartments and one three-bedroom house with a communal gym. Turning a derelict site negating the character of the area into a prosperous development maintaining the origins and history of the building starting a new chapter in the site’s history. With 3.3 hectares of mature grounds, Rosary Manor has a wonderfully countrified feel, despite its London location. Each apartment is unique, with individual proportions fitted to the shape and space available within the original manor house. The planning phase of the redevelopment was intricate, to say the least, with Bellis Homes keen to retain the character of the site while also delivering outstanding contemporary homes. Upgrading structures that date back to the 17th century to comply with current standards presented a need for serious innovation at times, but the result is a superbly sympathetic redevelopment. 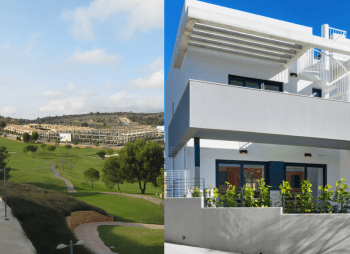 Externally, the process has involved careful landscaping to discretely provide apartments with private areas whilst retaining the open nature of the landscape. Internally, the design has been all about natural materials and tones. In the kitchens, that has meant plenty of deep woods with greys. Handmade British shaker style kitchens provide a traditional contemporary style that balances the building’s heritage with modern convenience. Bathrooms also reflect this traditional yet modern style, with traditional vanity units paired with contemporary colours and brassware. Meanwhile, flooring in the living areas is a mixture of beautiful wooden herringbone and grey planks. This intricate blending of old and new has created an ambience that is historic yet contemporary – an impressive achievement that will serve those who are part of the next phase of the convent’s history well. 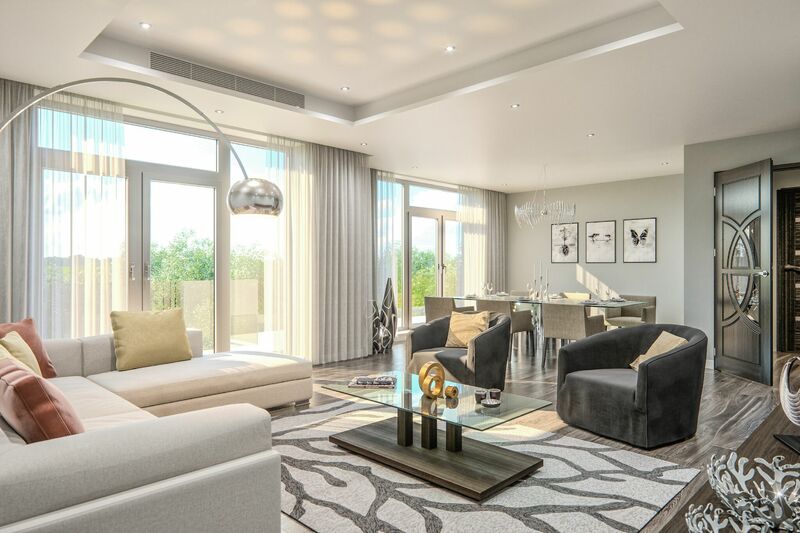 Apartments at Rosary Manor are available from £1.1 million to £4 million with completion due from March 2018. For more information, contact Bellis Homes on 01279 424 733 or visit www.bellishomes.co.uk. It’s that time of year again – Christmas adverts are all over TV and social media, Christmas trees have sprung up in supermarkets across the UK and shoppers everywhere are preparing for the festive season in earnest. With the arrival of December, the party season will get into full swing as families up and down the country get into the festive mood. When it comes to festive entertaining, having the perfect party pad in which to host friends and family is essential to surviving the season without getting flustered. When it comes to ideal homes for Christmas entertaining, it’s all about big kitchens, stylish lounges and added extras. Of course, an enormous fridge is also essential. Prosecco and champagne sales over the holiday season are such big business that Sainsbury’s named 23 December 2016 ‘Fizz Friday.’ It followed the supermarket reporting a spend of £5,000 per minute on sparkling wine by shoppers on 23 December the previous year – the equivalent of 600 bottles of fizz for every minute that stores were open! When it comes to the ideal fridge to store all that fizz for Christmas, few properties can compare to Mulliner House in Hadley Wood, North London, which is available from Bellis Homes. The ultra-luxurious, six-bedroom home comes with plenty of quirky features, including a walk-in fridge that’s perfect for preparing the ultimate Christmas party. 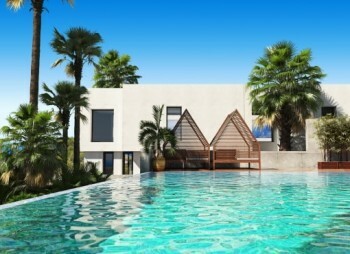 Not only that, but the property also includes its own swimming pool, cinema room, lift and staff quarters. Let the festive partying commence! 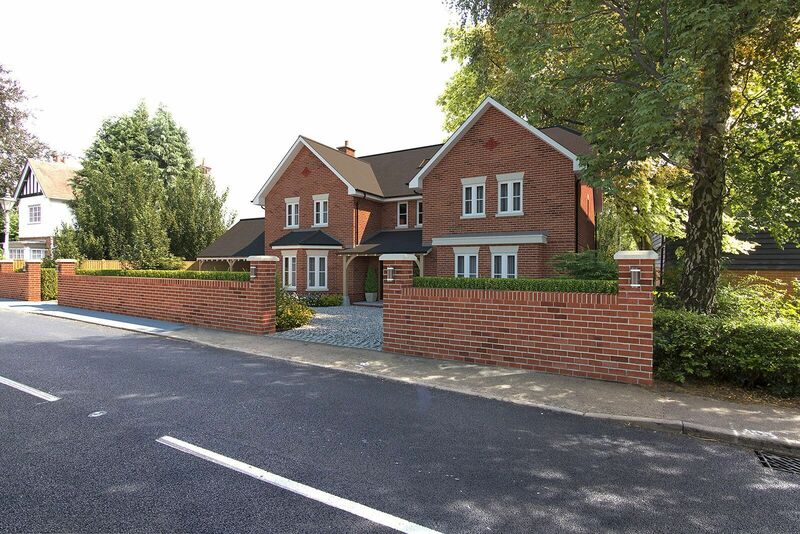 Calleva House, Mulliner’s sister property, is another detached, six-bedroom home. The property comes complete with an enormous lounge, kitchen and cinema room for entertaining. There’s also a superb steam room for unwinding in style after the festivities are over. Meanwhile, few party pads offer as much scope for entertaining multiple generations as Eleven Trees in Mill Hill. The stylish, contemporary home features a cinema room and games room complete with pool table for entertaining younger family members, while the grownups can enjoy milling around with their glasses of fizz in the spacious, open plan kitchen/dining/living room. 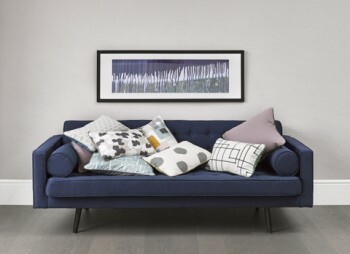 A formal lounge offers an alternative space for guests to relax in and a chance for them to take a breather from the main party areas, should they so desire. This ethos has certainly been reflected at Eleven Trees. The property is on the market for £4.5 million. 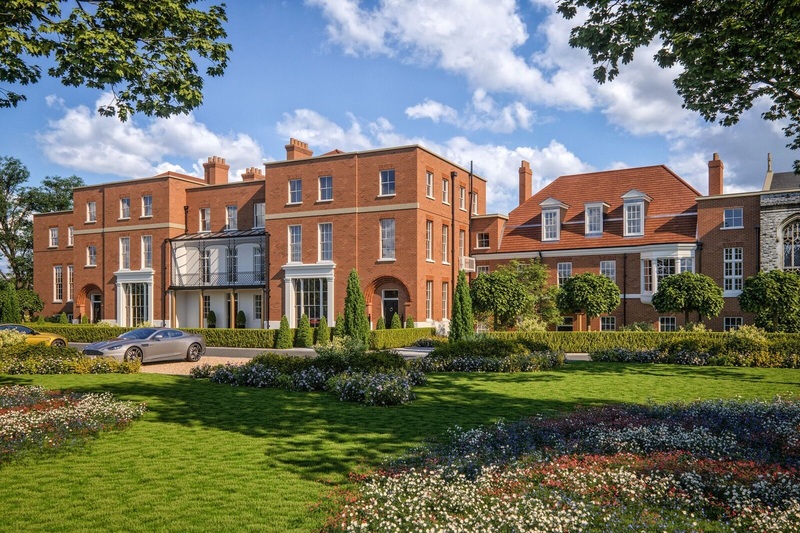 Meanwhile, Mulliner House and Calleva House are priced at £5.5 million and £3.75 million respectively. Hampstead is where some of London’s most famous names have chosen to settle; a haven for writers, composers, ballerinas and intellectuals, actors, artists and architects over the ages. 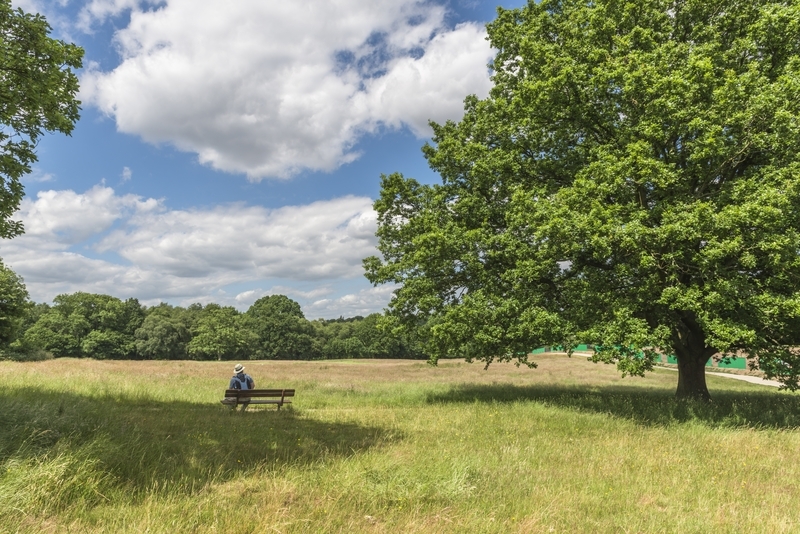 The location, just 4 miles northwest of Charing Cross, is known for having one of the largest urban parks in the world, Hampstead Heath, and being one of the highest points in London it boasts breathtaking views of the city. Indeed, beautiful views are one of the most desired factors when it comes to purchasing a property for many buyers, however it is not something that’s easily found especially for those seeking the best of both worlds – idyllic countryside views within a reasonable distance of the ‘big smoke’. But luxury housebuilders – Bellis Homes has now made this reality possible. 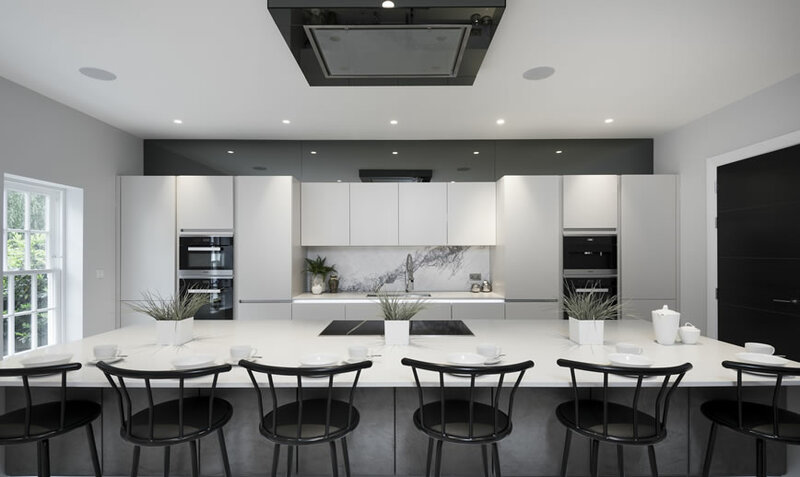 The family-run housebuilder has just launched their brand new, high-specification development in the heart of Hampstead. With a contemporary design, the apartments of Four5Two are engineered for deluxe living in Hampstead. The rear of the apartments feature balconies with incredible Hampstead Heath views, the perfect spot to sit back and relax. As well as private underground parking for residents, Four5Two also boasts strong transport links being located just a 10-minute walk from Golders Green station and easily accessible from many major motorways including the A1, M1 and the M25. The development is just 19 minutes to Kings Cross St Pancras and with several major airports all within easy reach it is undeniable that Four5Two is more than ideally situated for commuters. Four5Two compromises of 13 apartments, with prices ranging from £1.1m – £2.2m. The living areas in Four5Two offer a large space for socialising and relaxing. The carefully designed floor plan brings in plenty of natural light enhanced with bespoke lighting for each apartment and LED lighting at plinth level through the hallway. The airy spacious area is heightened by the overall stylish and contemporary decor. To purchase an apartment off plan or for all other enquiries please contact Bellis Homes or their sole agents Glentree 0208 731 9500. Camden Town has always been considered an interesting hybrid area of London. Not only does it boast one of the best markets in the capital but it is home to a diverse community from affluent young professionals, students, artists and celebrities, dead and alive, from Charles Dickens to Gwyneth Paltrow. Whilst some may be cautious about the prime central London market, the experts at Barclays wealth and investments paint a more positive outlook forecasting that the capital’s house prices are set to rise by an average of 11.88% by 2021, almost double the national average (6.1%). Average house prices in Camden are forecast to rise by a whopping 33.9% by 2021, second only to Richmond-Upon-Thames, reports Barclays. Indeed, the latest Zoopla data reports a 43.07% growth in house prices in Camden over the past 5 years and 3.33% over the last 6 months alone. Boasting a highly prized NW1 postcode, you might be surprised however to know that reasonably priced, well sized property gems can still be found. Luxury homebuilder Bellis Homes is launching this summer’s hottest development in Camden Town – Marine Ices Apartments. Conveniently located, on Haverstock Hill, opposite Chalk farm station and within sight of the hugely popular Roundhouse complete with rooftop beach in the summer months, Marine Ices Apartments enjoy a rich heritage. 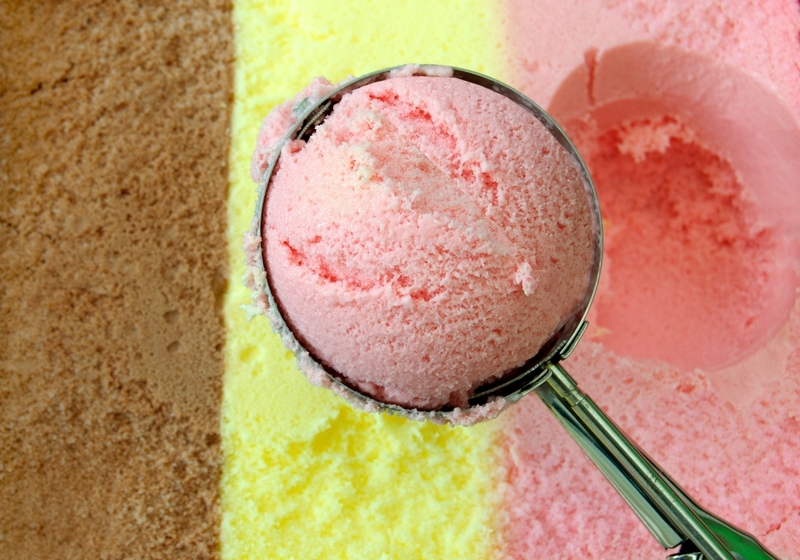 The building was once home to an ice cream parlour, founded by gelato pioneer, Gaetano Mansi in 1931 who wanted to bring the exquisite taste of real Italian gelato to discerning Londoners. His reputation for the finest gelato spread and so did his parlours with the same ice creams now enjoyed in many places including his new parlour a few steps from the new Marine Ices Apartments. Only a short walk from the fashionable Camden Market and Camden Lock, Marine Ices Apartments are currently under construction and when completed in 2018 will offer 19 apartments ranging between 566 sqft and 1221 sqft with fabulous amenity spaces. 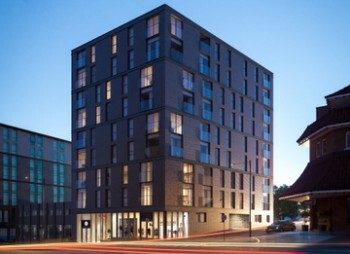 The apartments vary from one to three bedrooms with vibrant finishes, CCTV, large balconies and composite oak paneled front doors with security features. Residents of Marine Ices Apartments will also be able to enjoy the convenience of retail stores and / or supermarket on the ground floor â€“ perfect for those everyday essentials as well a future capital growth. Indeed, proximity to supermarkets can positively affect house prices; known as ‘The Waitrose Effect’, research by Lloyds Bank suggests that homes within a near reach of any local supermarket are worth on average £21,512 more than others in the same area. Marine Ices Apartments are available from £650,00 to £1.5 million, for more information, contact Bellis Homes on 01279 424 733 or visit www.bellishomes.co.uk. Celebrating the launch of their latest new homes, family-run house builder Bellis Homes is offering buyers of either Magna House or Millers View, located in the charming English village of Much Hadham, Hertfordshire, lifetime family membership of the Henry Moore Foundation. The Henry Moore Foundation was founded by the renowned sculptor and his family 40 years ago to encourage public appreciation of the visual arts with the Studios & Gardens located in Perry Green, Much Hadham where Moore died on 31st August 1986. Henry Spencer Moore, born 1898, was debatably the most internationally distinguished sculptor of the twentieth century and one of the most important British artists. Moore’s work can be seen all over the world and he is renowned for his semi-abstract monumental bronzes. Born in Castleford, Yorkshire and after serving in the British Army and training to be a teacher he decided to study at The Royal College of Art, London. This decision paid off as by the 1950’s Moore was already receiving several international commissions. In 1977 the Henry Moore Foundation, a registered charity, was established for education and promotion of the fine arts with an Institute in Leeds for the study of sculpture and the headquarters at Moore’s former estate in Perry Green, Much Hadham which today supports a range of different artistic movement’s as well as preserving the Moore legacy. With such a milestone anniversary being celebrated this year, Bellis Homes felt it would be fitting to offer lifetime family memberships for any buyer of their brand new Much Hadham developments – Millers View and Magna House. Situated between Ware and the large market town of Bishop Stortford, in the countryside of East Hertfordshire Magna House is extremely well connected being just 23 minutes from Stanstead Airport, 13 minutes from the M11 and 37 minutes from the M25. The single detached house has been finished to the highest specification with modern touches throughout but its external design remains in keeping with the historic nature of the area with a pitched roof, dormer windows, bay windows and traditional timber and brick elements. The ground floor boasts a large living and entertaining area whilst 6 bedrooms are set over two floors with 4 having their own en-suites. The master bed is complimented with a walk-in wardrobe and the basement area holds a fully equipped cinema and gym. “Although Magna House is a new build property, we have strived to incorporate several design features which fit with the historic village through small but effective touches such as the bay windows”. Magna House is on the market at £2.45m whilst Millers View will offer, upon completion, four semi-detached and one detached home in a similar style as Magna House from £1.3 million. Bellis Homes is an upmarket luxury home builder, with over 40 years of experience in construction, developing and project managing. From London to the Home Counties, Bellis Homes specialises in selecting upmarket developments in some of the most sought-after locations. With fantastic resources they have built up an impressive portfolio ranging from £250,000 to £16m. The exclusive developments range from luxury executive homes, revolutionary airspace developments, intimate family households and creative renovations.